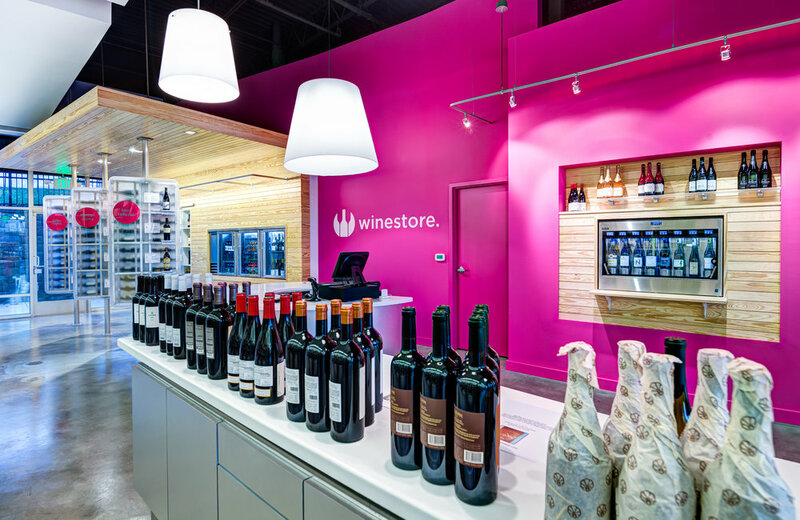 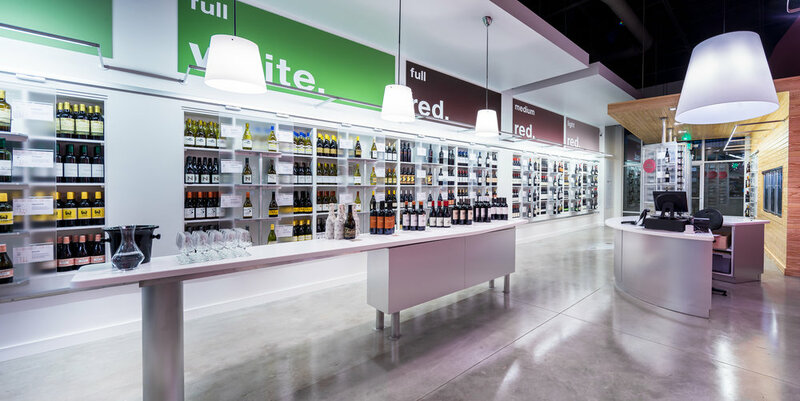 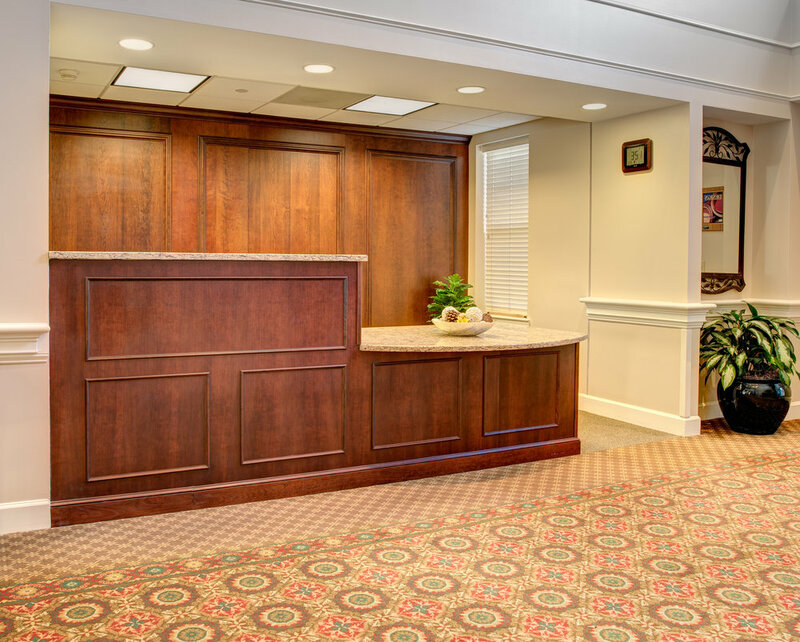 This 5,600 sq ft renovation project focused on the showroom, sales, and administrative spaces. 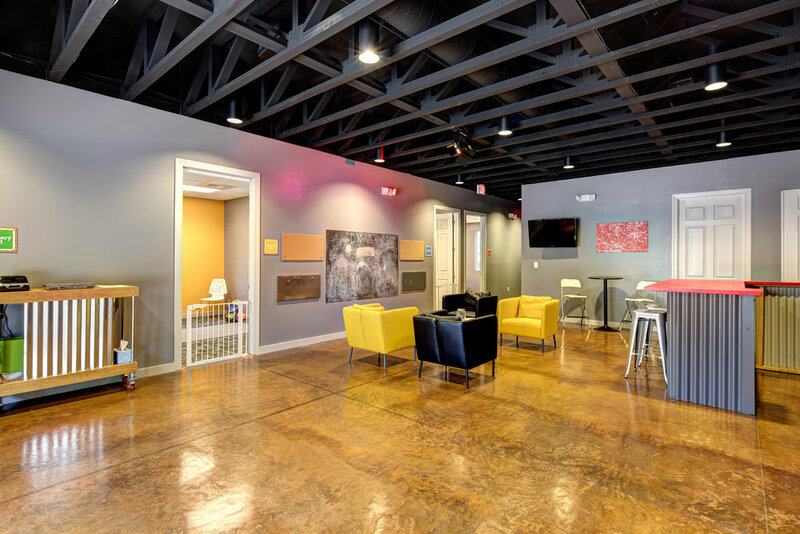 Creating a larger showroom, expanding the customer lounge and adding a playroom rounded out the interior overhaul. 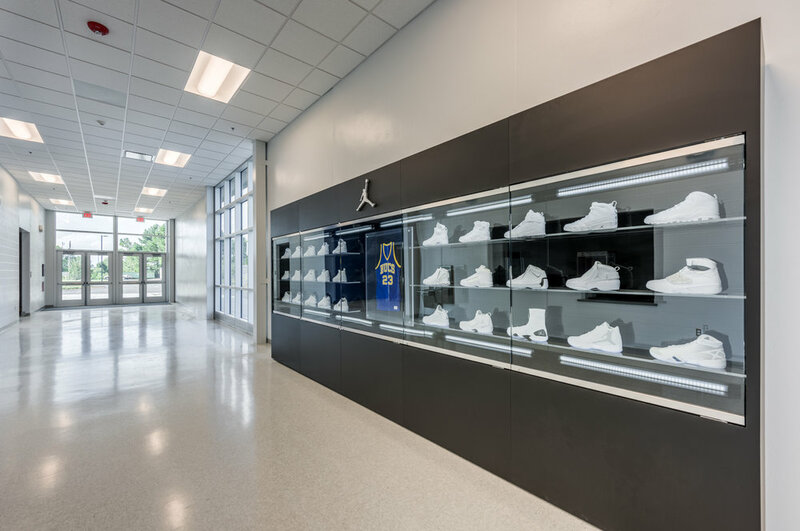 The building’s exterior was re-framed for storefront windows and Ford’s metal panel finishing, and now meets new hurricane standards. 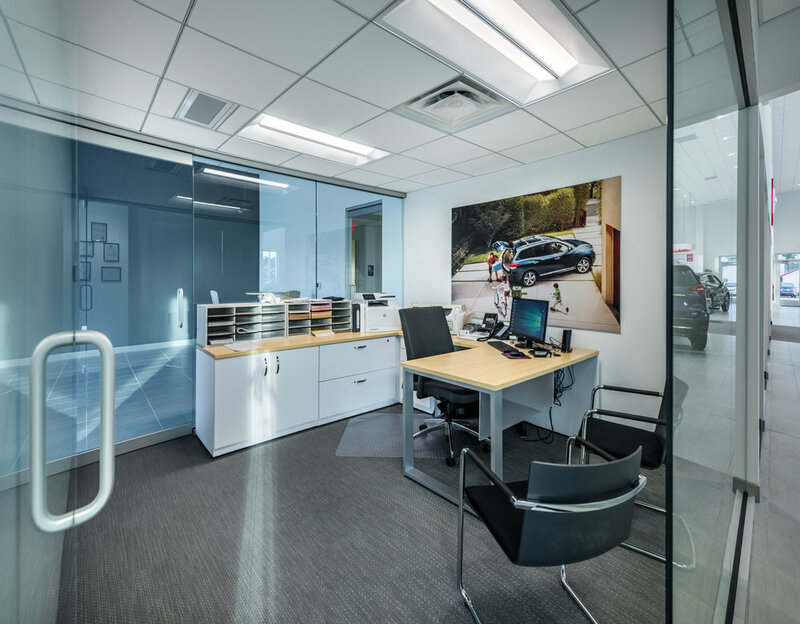 A Ford logo tower was added as well as a wing wall for the new New Vehicle Delivery bay. 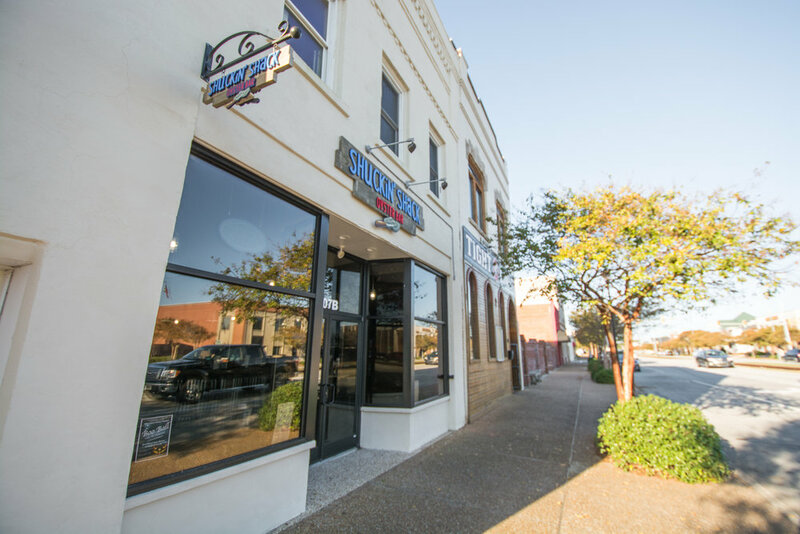 Separate from the existing building, a 1,212 square foot Commercial Truck Sales Building was added, the interior complete with restrooms, manager office, sales offices, and a customer lounge. 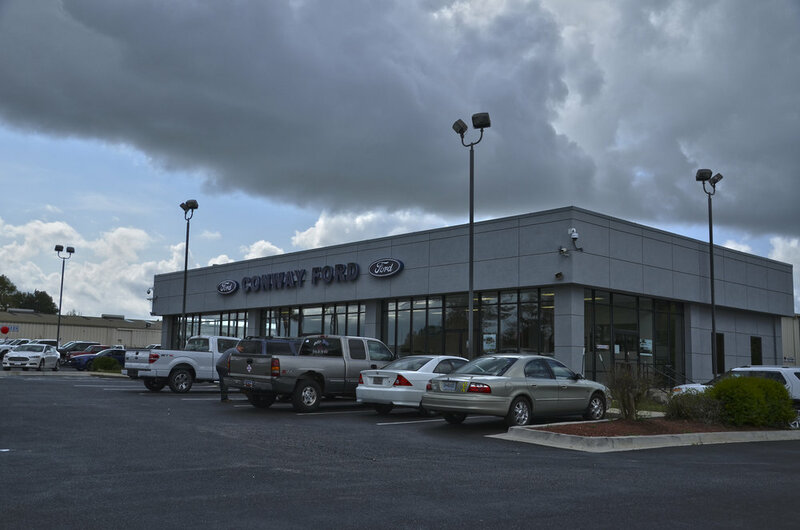 The exterior of the new structure was designed to match the existing dealership and amplify the Ford Brand look. 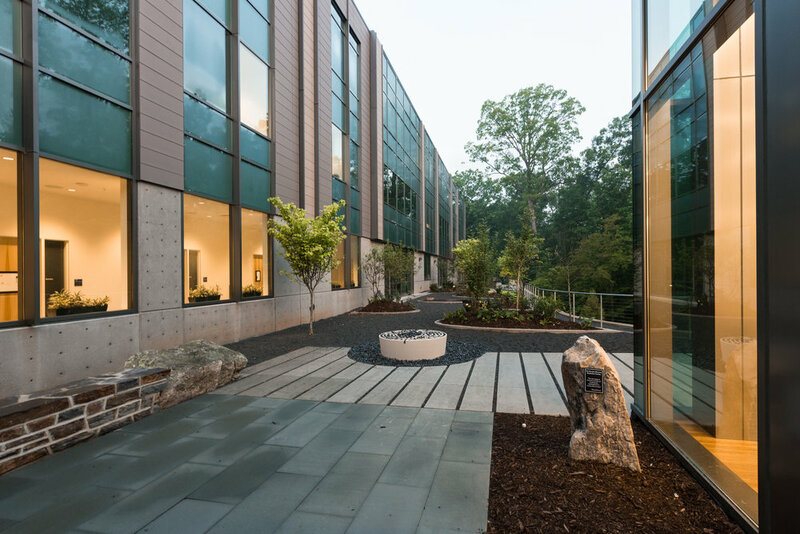 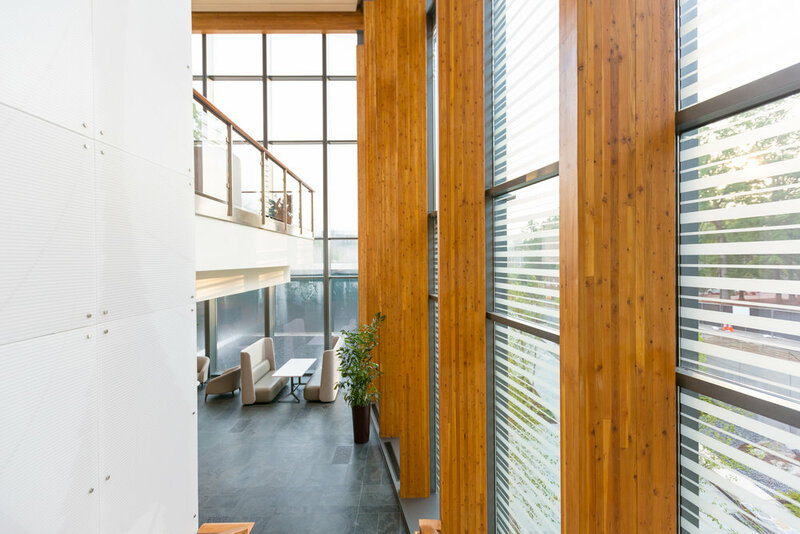 The Student Wellness Center is located in the heart of Duke’s Campus, and is mindfully designed to bring an integrated, whole wellness perspective to support students. 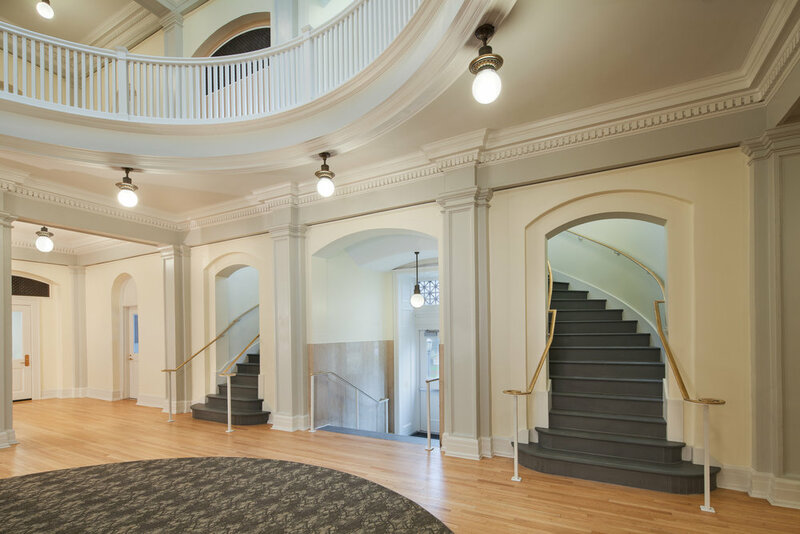 This new LEED Silver Certified three-story building creates a wellness space specifically for students. 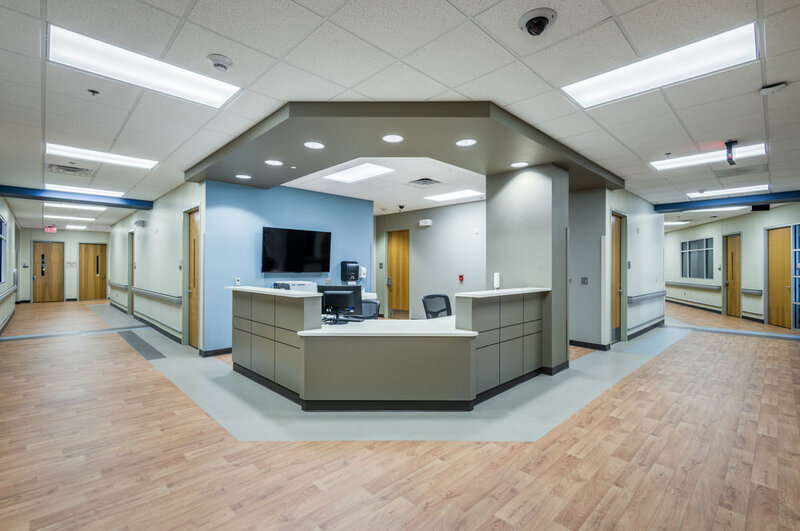 The 71,000 square foot site consists of exam rooms, group therapy spaces, staff offices, an attached pharmacy building, and multiple retaining walls with an entry bridge to the second floor main lobby. 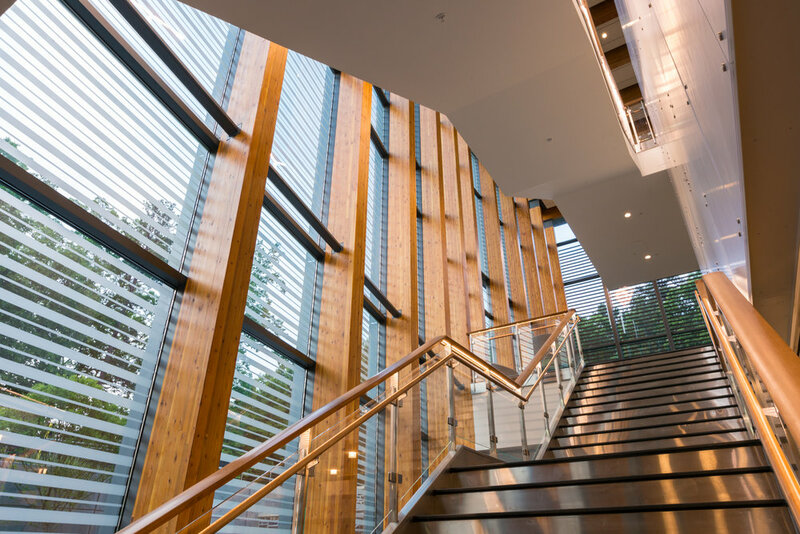 Natural light and a state-of-the-art space welcome students the moment they walk through the doors, reflecting Duke’s commitment to serving student health and well-being. 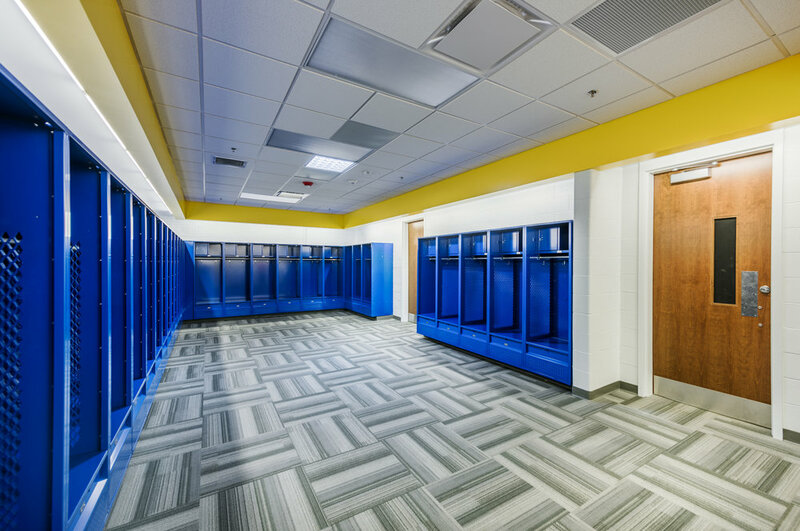 This upfit project upgraded finishes including flooring, paint, and wall coverings. 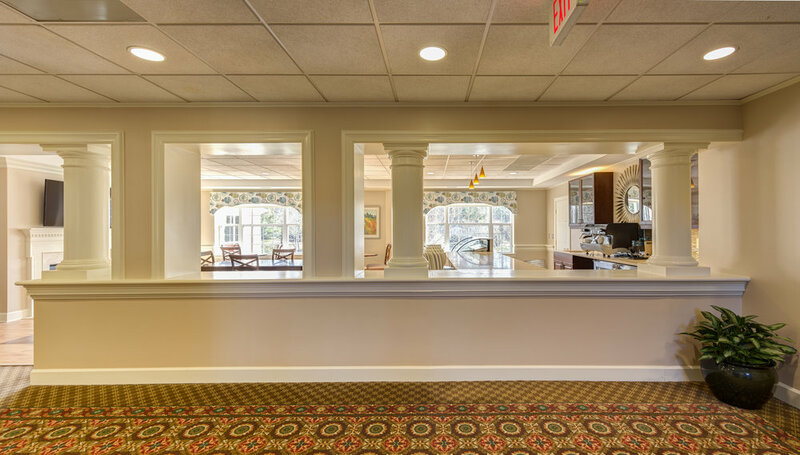 New cabinetry, lighting, and other aesthetic improvements create cozy feel of home for guests. 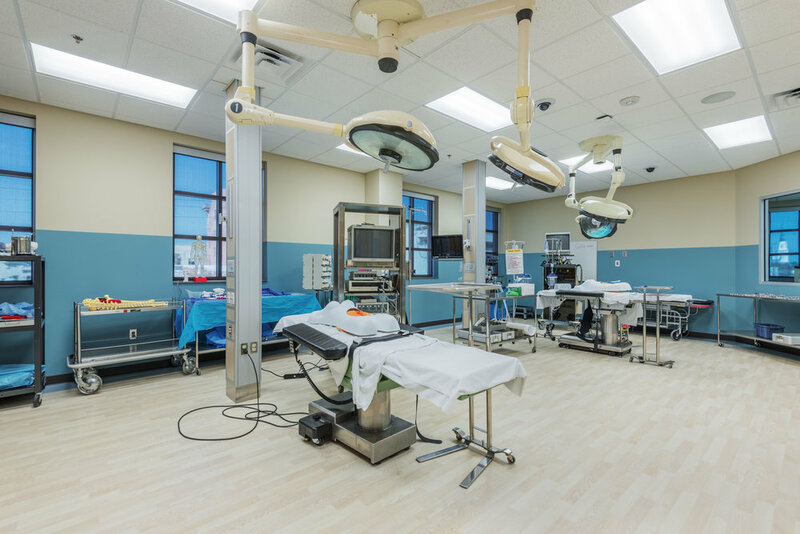 The state-of-the-art, 45,000-square-foot building is at the center of ECC’s health sciences degree programs. 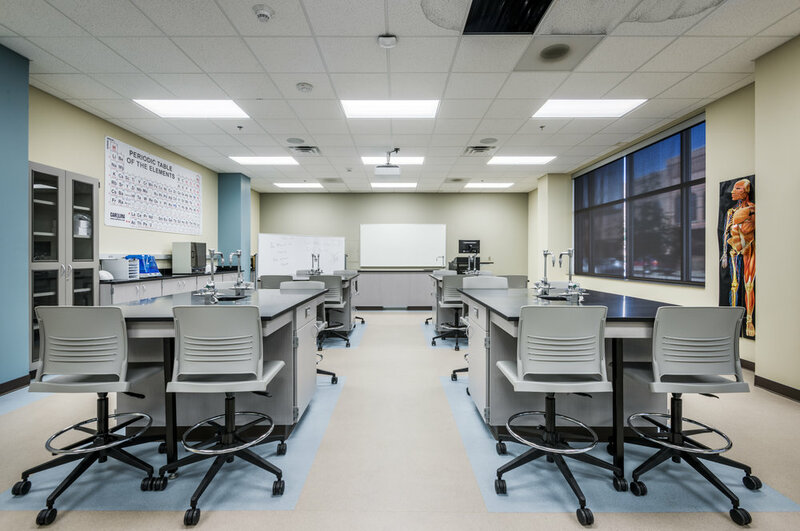 The building, which serves more than 1,200 students annually, includes laboratory facilities and classrooms. 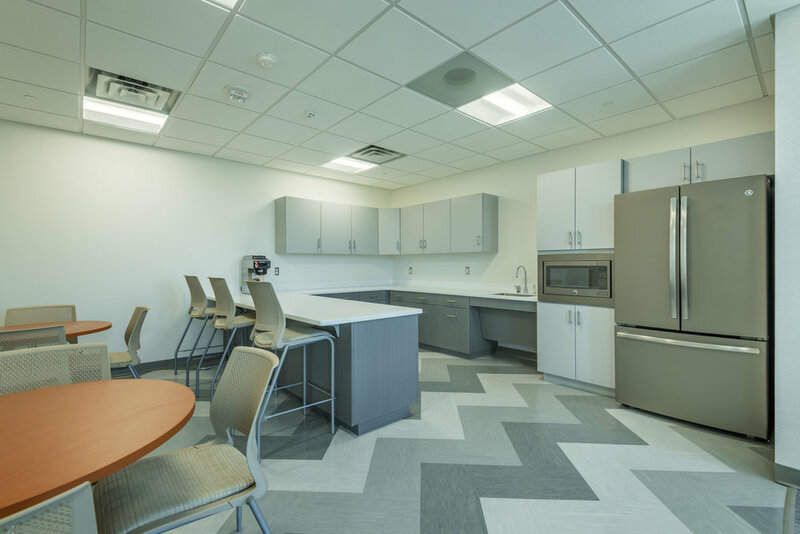 The six training rooms on the first floor are furnished with pods to create a student-centered, active learning environment. 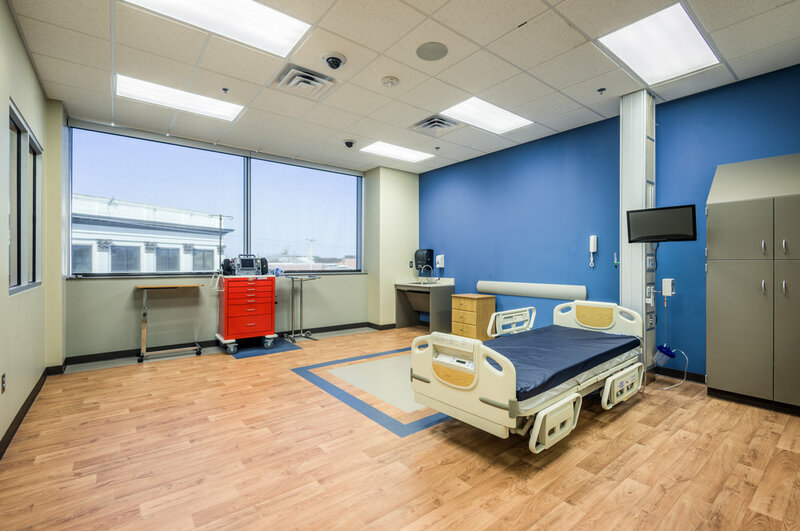 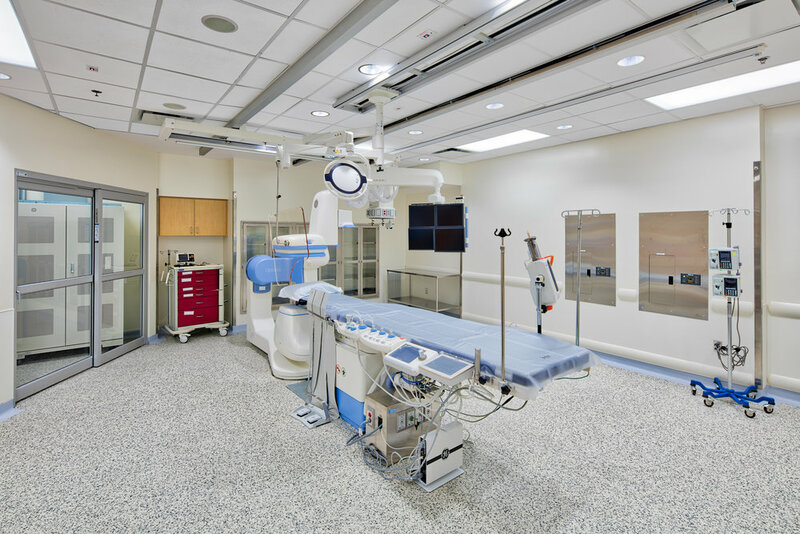 The second and third floors feature a simulated hospital environment, with rooms configured to simulate the real world environments of emergency rooms, operating rooms, intensive care units, labs, and more. 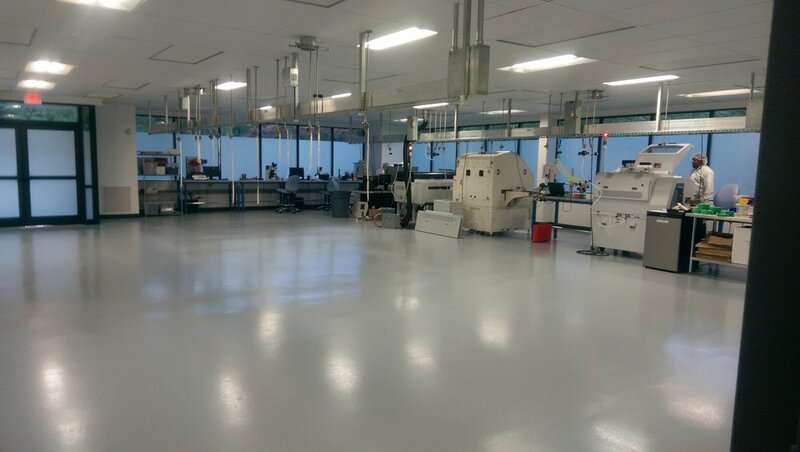 This 15,000 square foot project includes 5,000 sq ft of office and 10,000 sq ft of clean-room space. 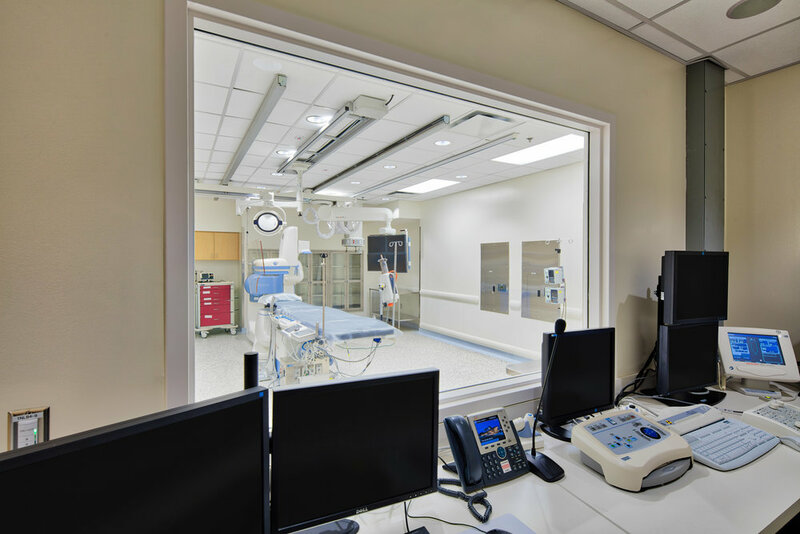 The project scope included a new remote terminal unit and mechanical coordination and was completed 2 weeks ahead of schedule — without disruption to the existing operations. 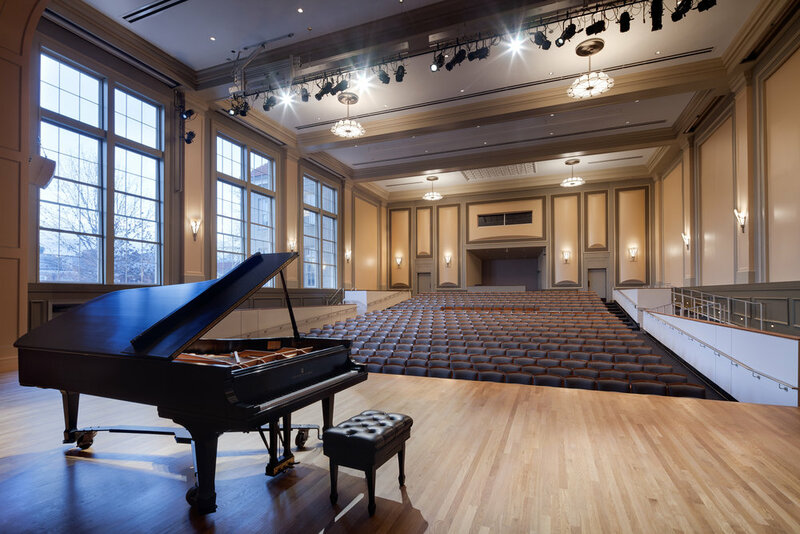 Now home to UNC’s Music Department, Hill Hall was originally built in 1907 as the campus library. 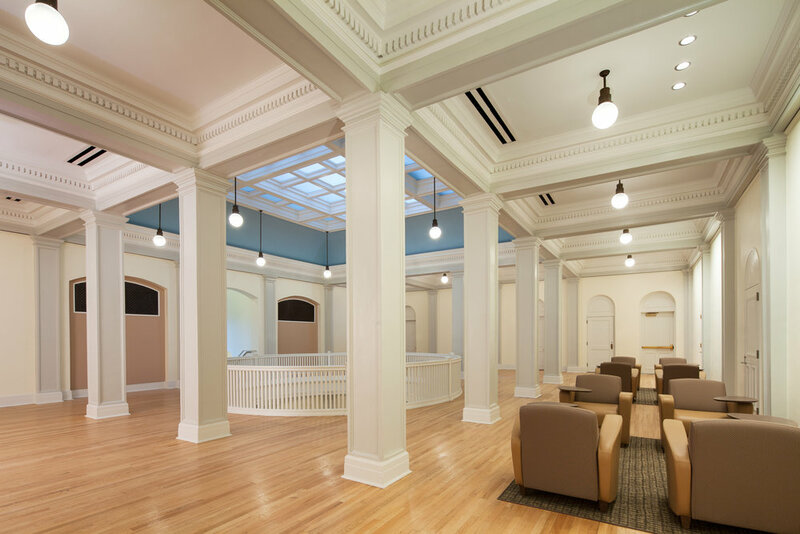 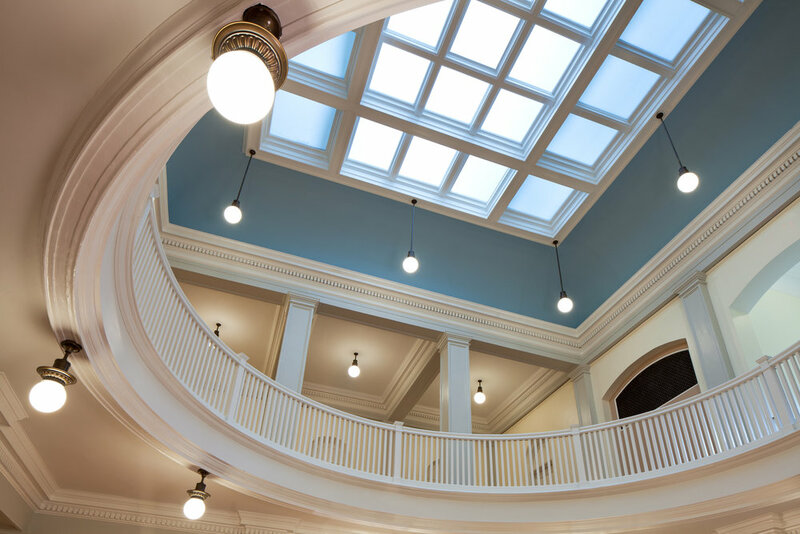 This renovation project returned the original character to the exterior of the building and restored the historic rotunda. 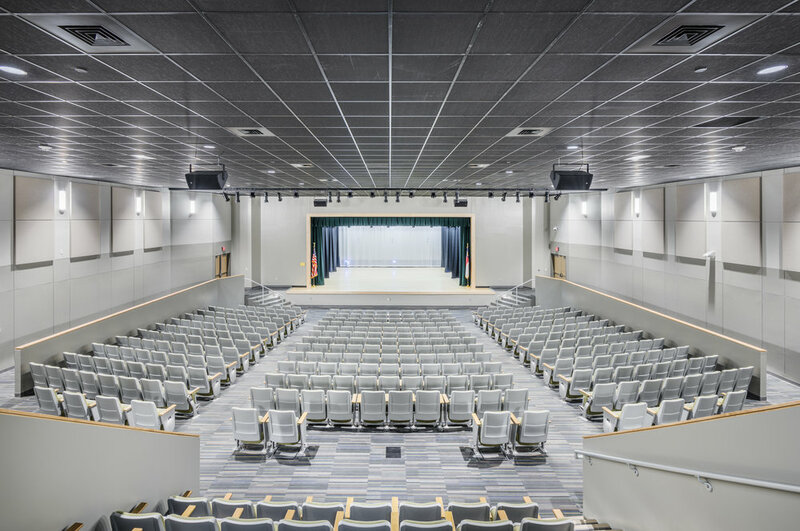 In the interior, the project updated the building systems to include air-conditioning, and an extensive interior rehabilitation improved the acoustic performance of the auditorium. 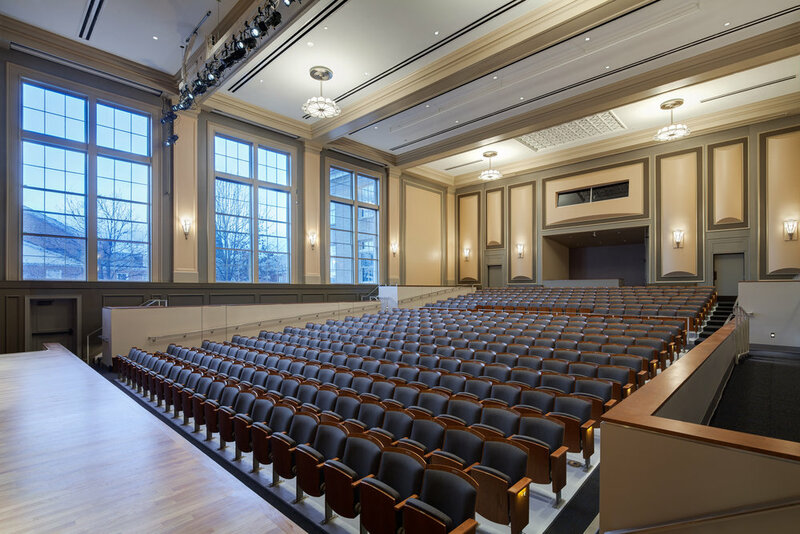 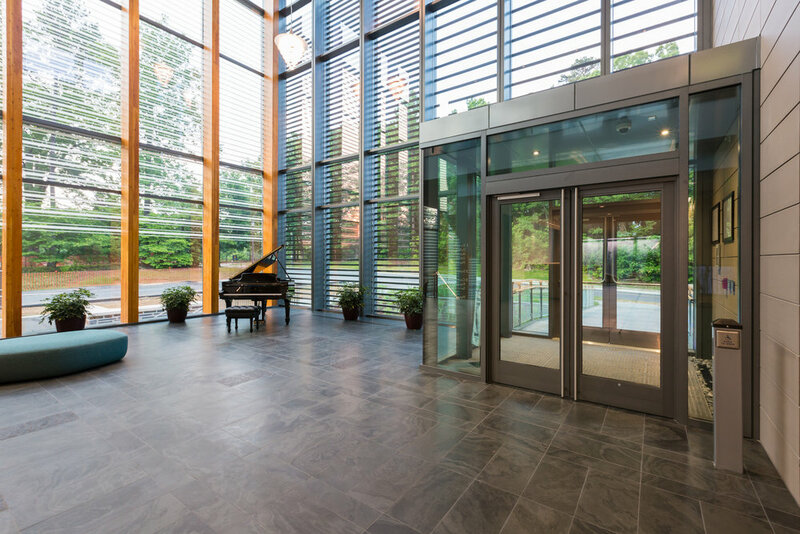 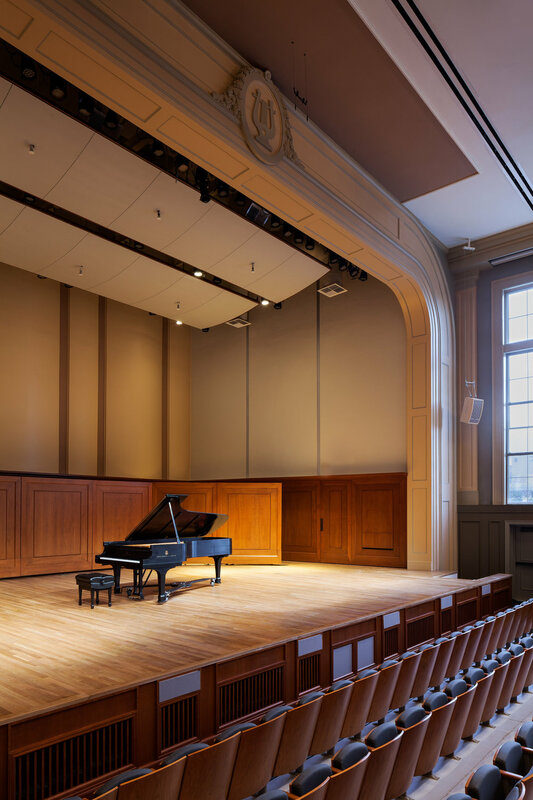 The 455-seat auditorium now serves as UNC’s main recital venue with a professional stage, enhanced backstage areas, and renovated rehearsal classrooms. 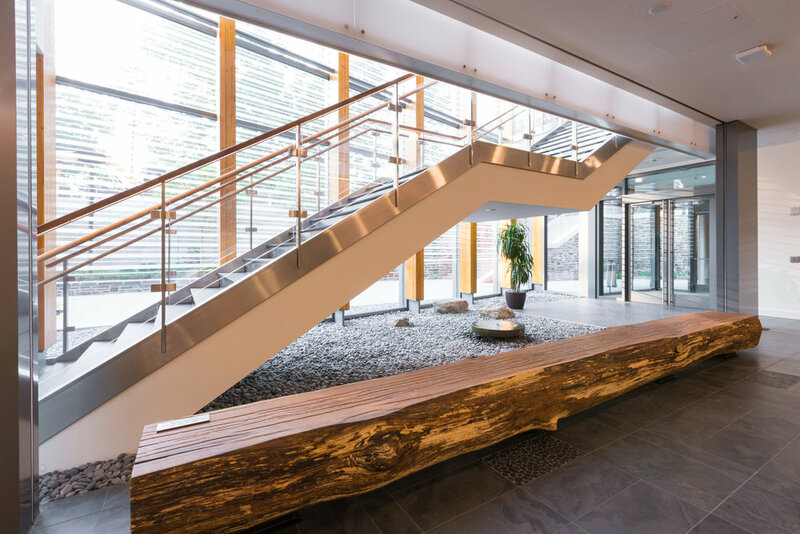 This 12 story, 190,000 square foot building had remained largely unchanged since it was built in 1970. and it showed. 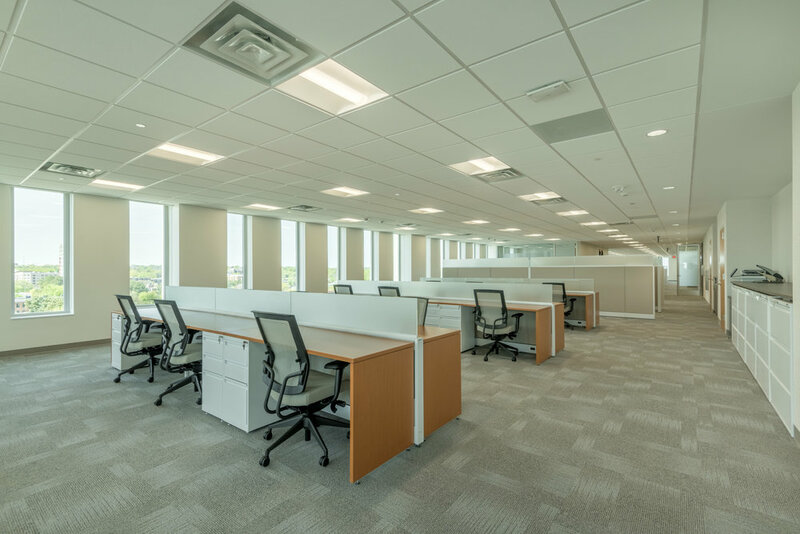 Now, the office floors have an open floor plan design that brings sunlight into the spaces throughout the building, and created rooms for employee collaboration. 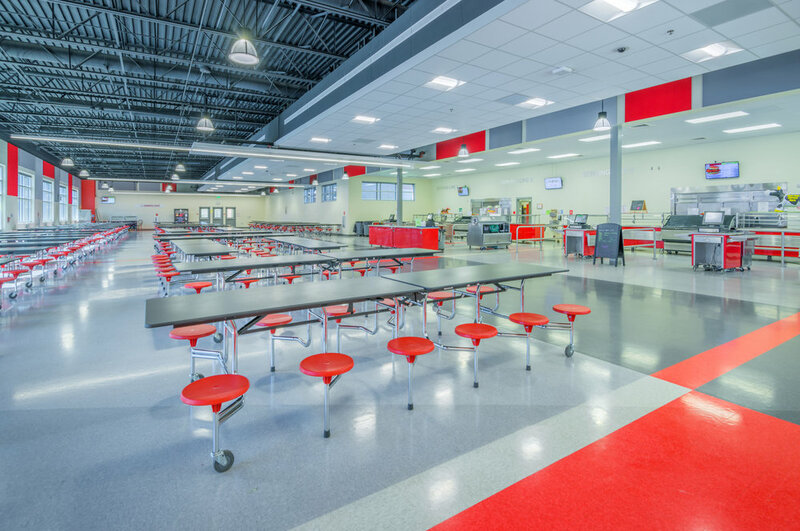 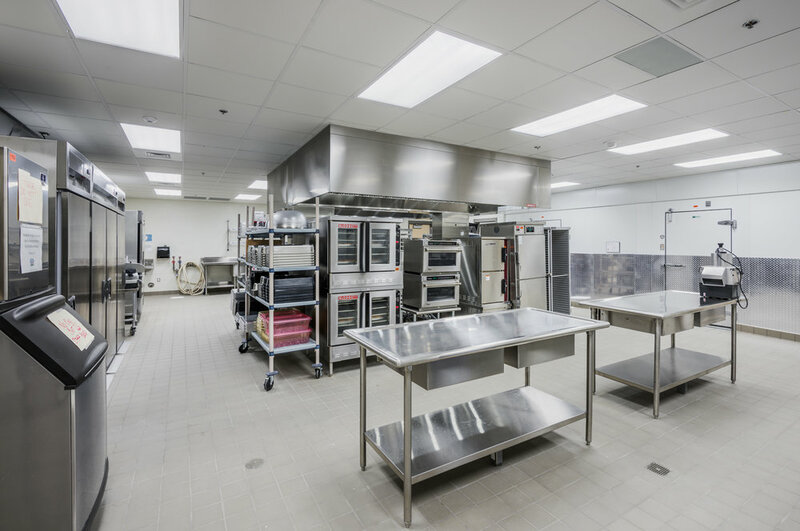 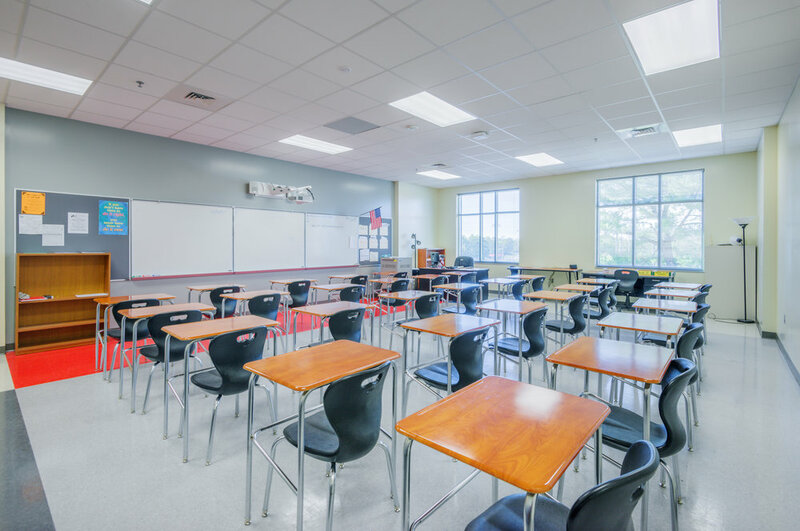 With the renovation, all asbestos was abated and new mechanical, electrical and plumbing systems installed. 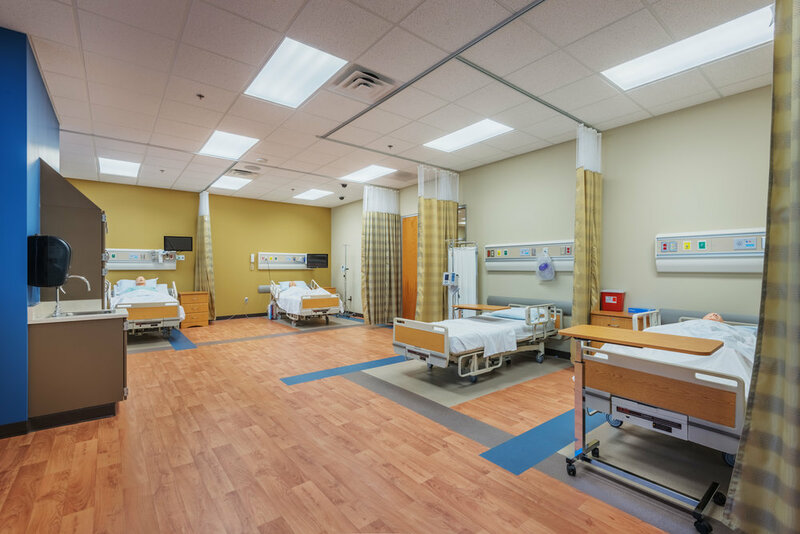 That included a new fire alarm and sprinkler system, energy improvements, ADA compliant restrooms and new data and phone wiring. 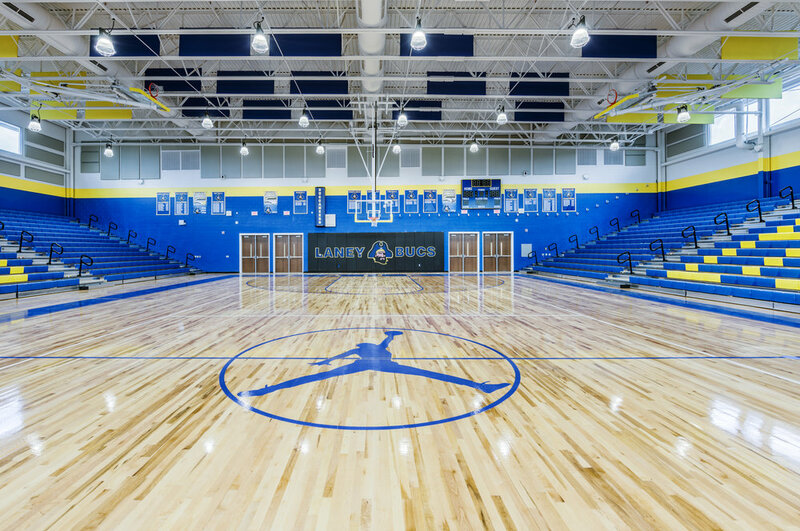 The renovation Project required significant repair of the wood structure and the addition of steel beams to support the floor above. 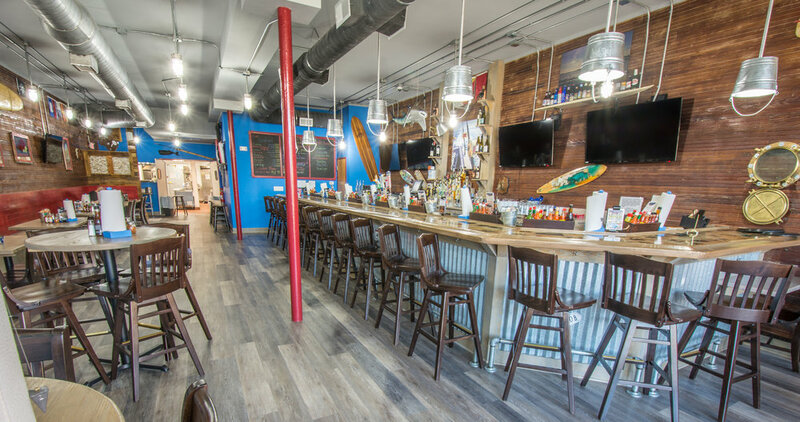 Only the wood on the wall and exposed brick remain of the original interior. 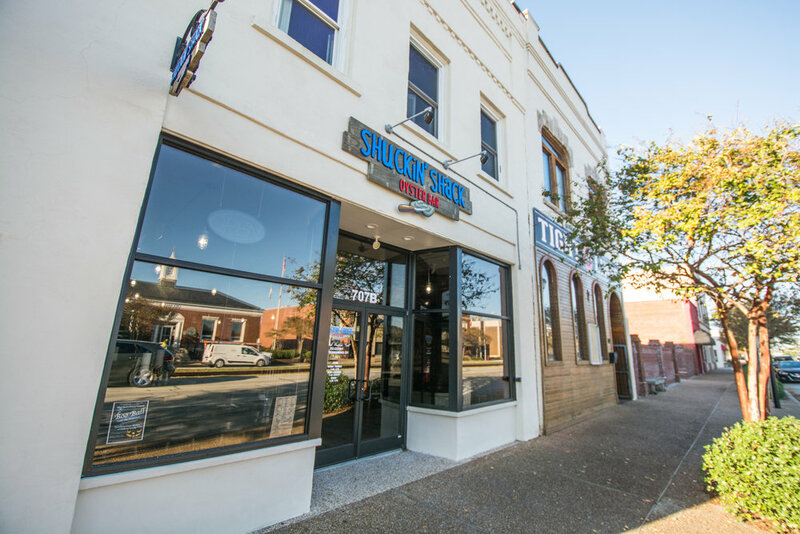 This project was our first collaboration with the Shuckin' Shack Franchise. 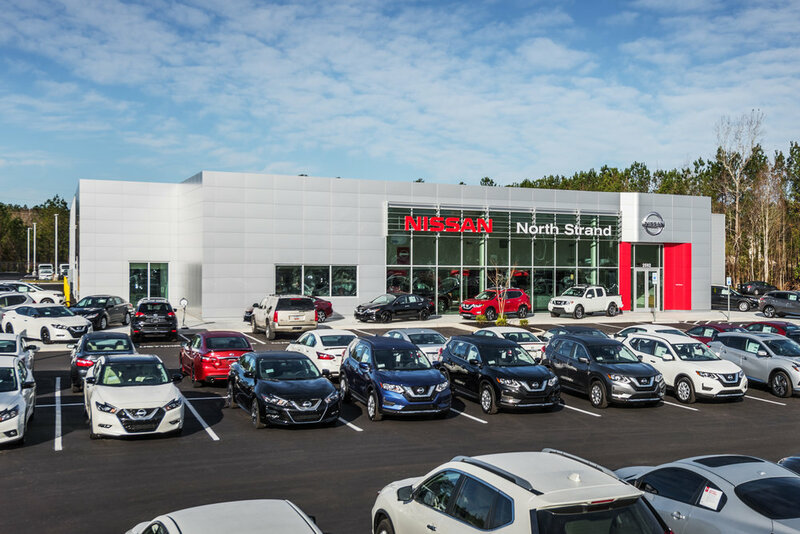 North Strand Nissan was a ground-up construction project of a 27,419 square foot, three story automotive dealership. 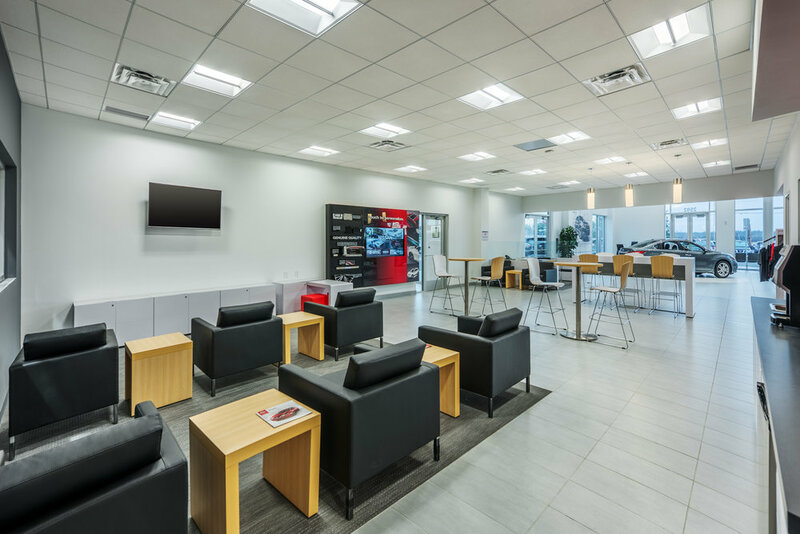 The dealership consists of a 3,600 square foot showroom, a 1,200 square foot customer lounge, and 9,500 square foot service bay and detail shop. 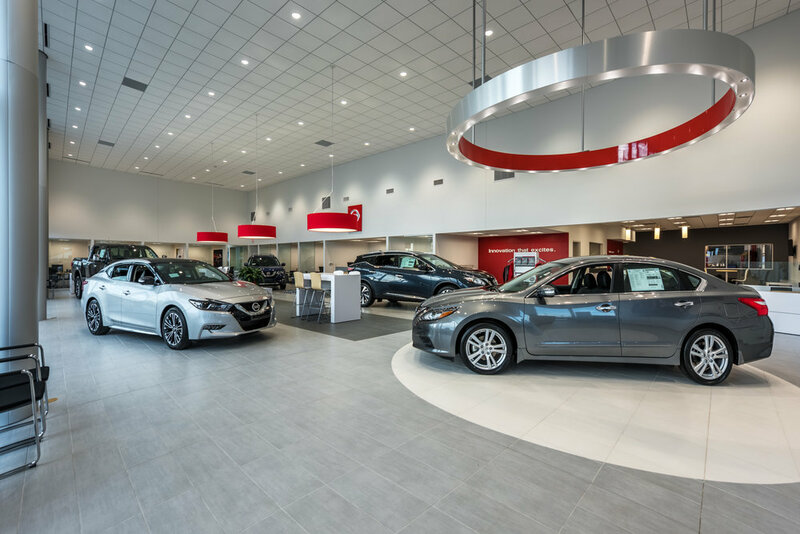 The structure sat among a larger area lot for vehicle display, customer and employee parking, and an AC retention pond. 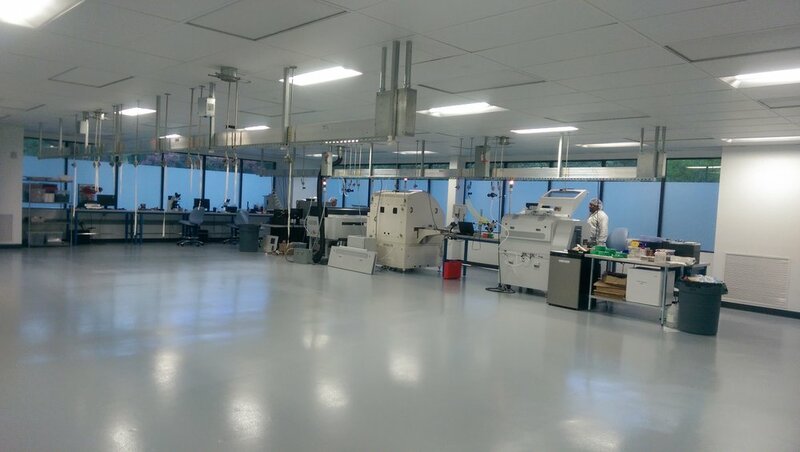 This brand new 110,000 square foot building was constructed with CMU and conventional steel components. 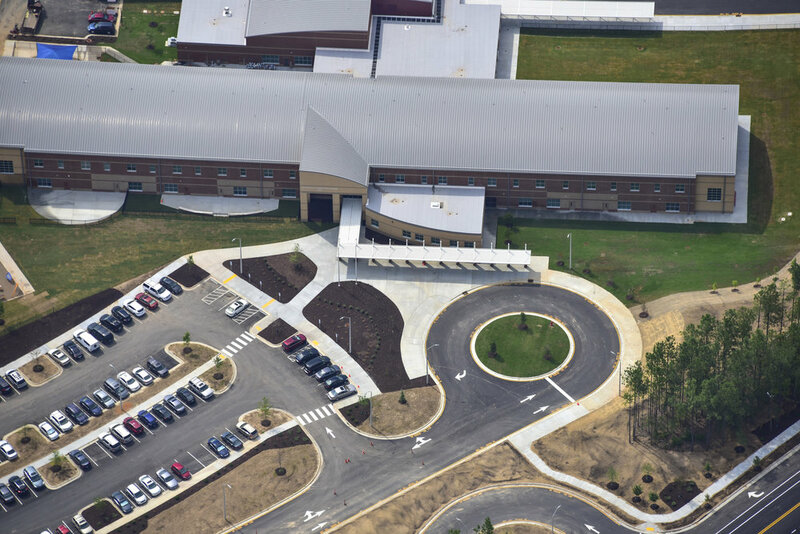 The project included complete turnkey site construction of an 18.25-acre site that included all site infrastructure, site utilities, city streets and NCDOT roadway improvements. 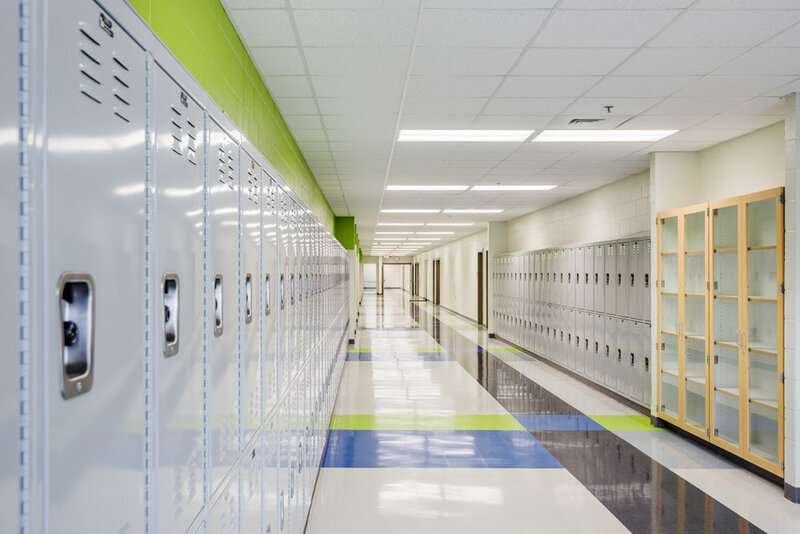 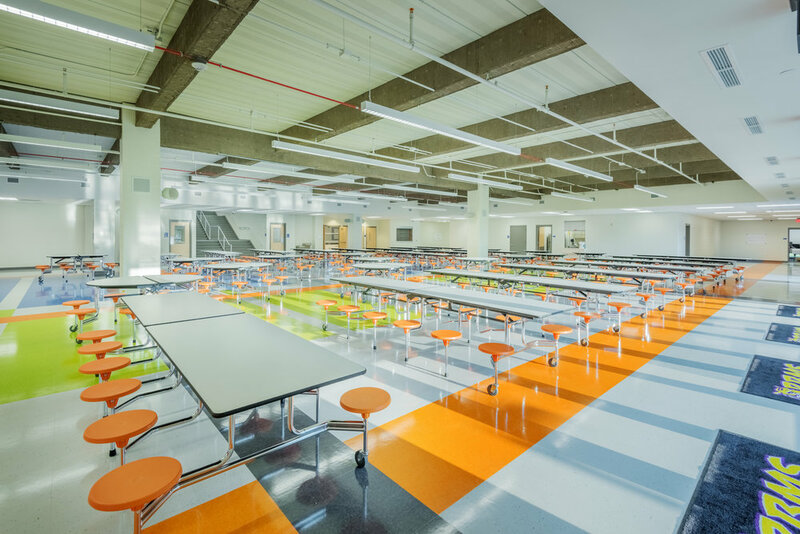 This prototype three-story, 1,280-student Middle School was built near Riverbend Elementary in northeast Raleigh. 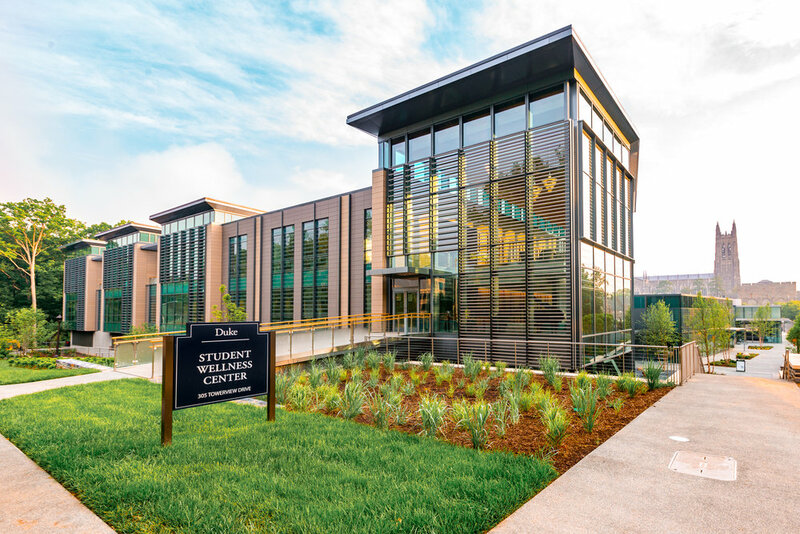 It was constructed with CMU and conventional steel components. 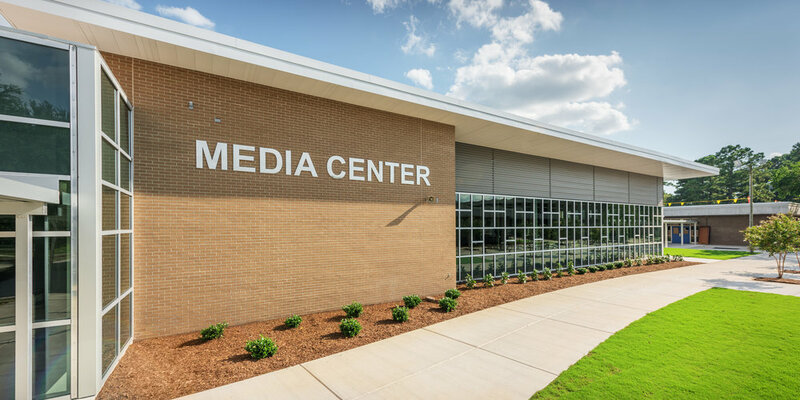 The project included a completed turnkey site construction of a 23-acre site that included all site infrastructure, site utilities, city streets and NCDOT roadway improvements. 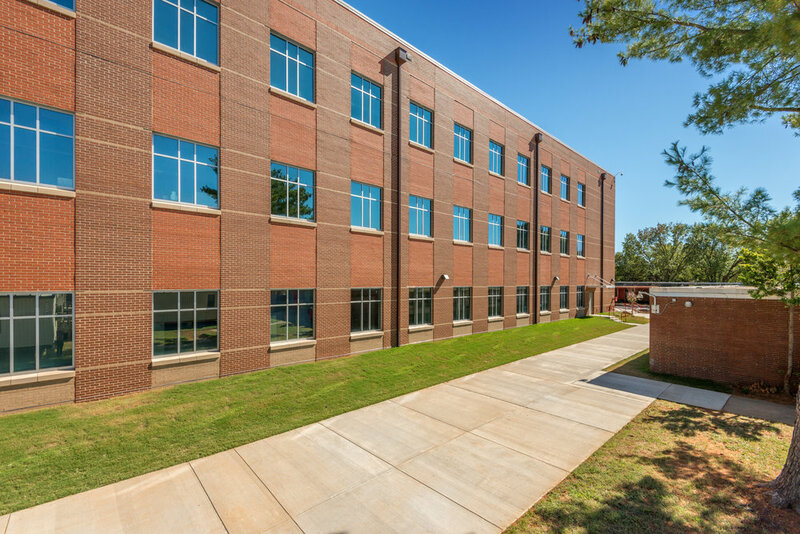 This project delivered a new 86,000 square foot building to accommodate NCCU’s School of Business’ expanded needs. 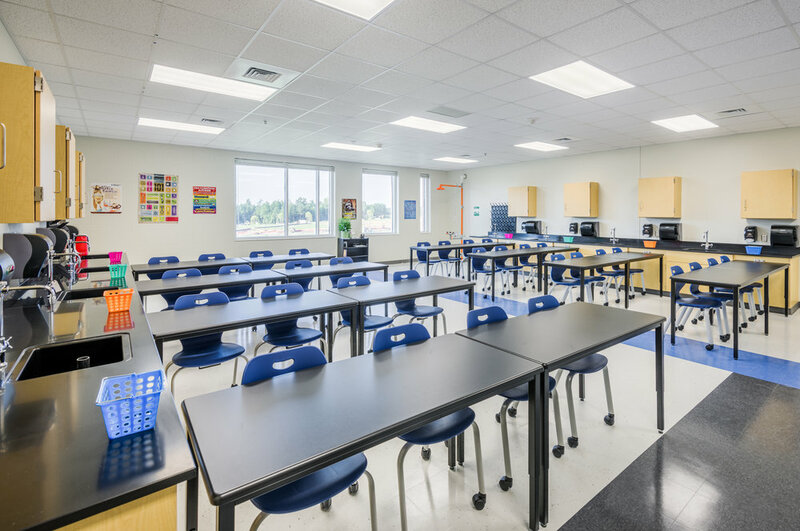 Increased classrooms and teaching labs delivered on the schools focus on experiential learning and technology integration. 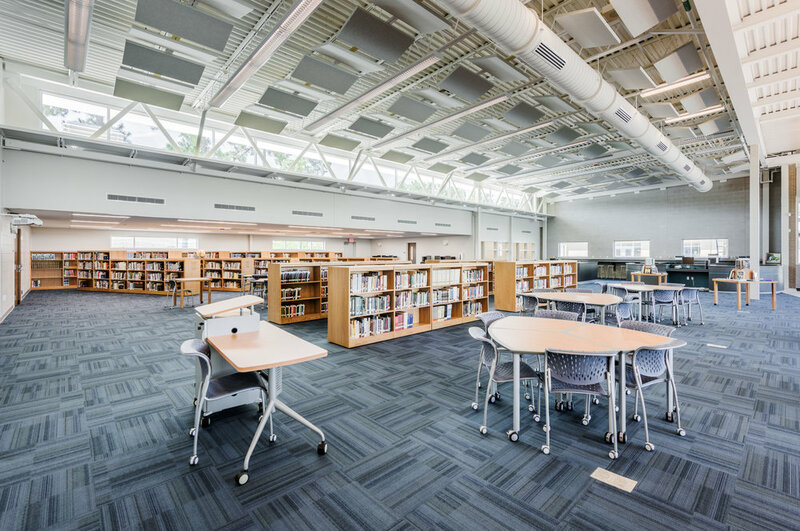 New administrative space allows the school to expand its business partnering and community service. 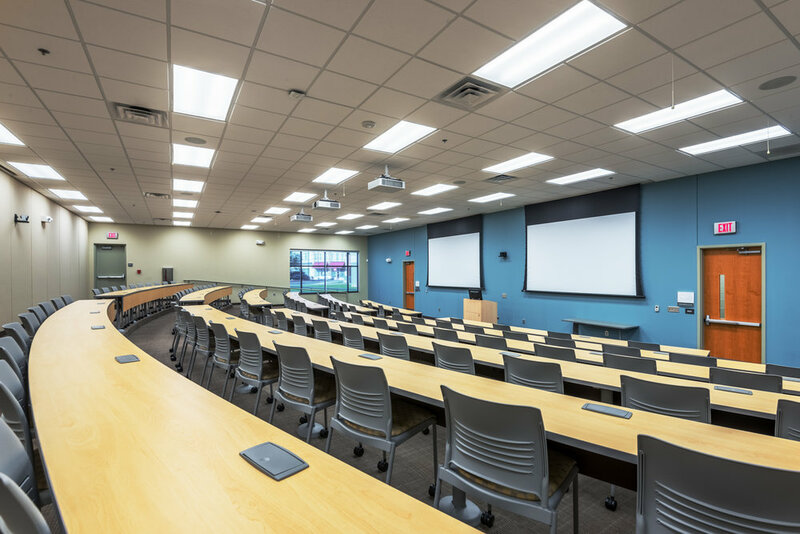 The School of Business will also benefit from an updated academic facility that provides the latest advances in distance learning, audio-visual and smart classroom technology. 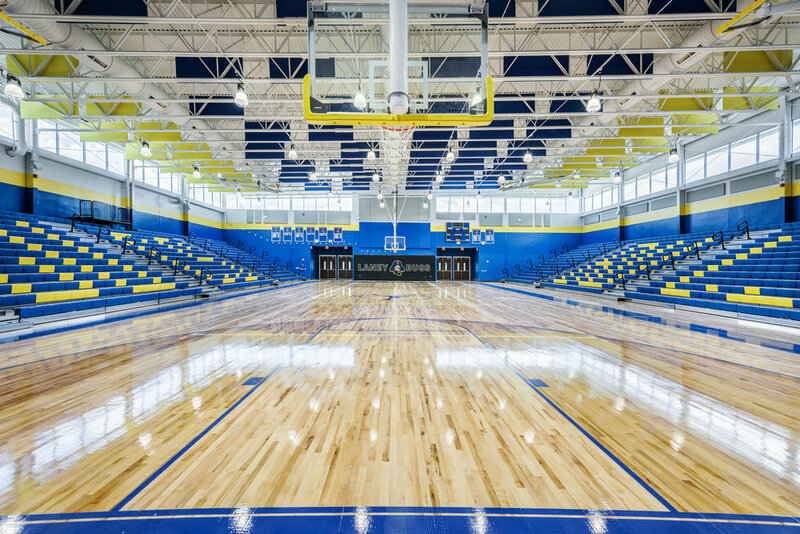 The new 1,600 seat, 60,000 square foot gymnasium features renovated locker rooms, new coaches offices, and a new lobby with a concessions area and public restrooms. 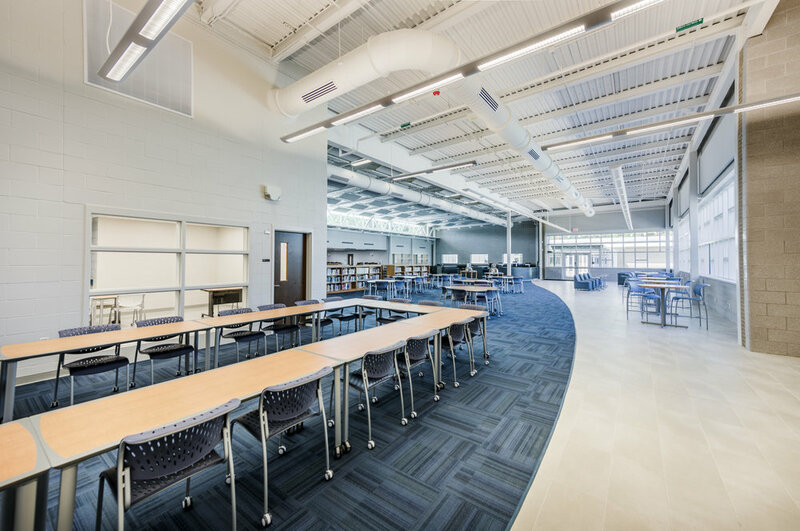 And the new media center totals 11,100 square feet and features a “maker-space lab” for students to create hands-on, 3-D projects such as printing, sewing and soldering.